“if you take anything away with you today, then it’s don’t wait for 5G to plan for small cells,” was the cry of one speaker at SWCS World in London this week. It was hardly surprising to hear such a plea at a small cell-focused event, where many of the speakers have a vested interest in shifting their wares to operators and local authorities, but he did have a valid point. Small cells will be a critical component of 5G networks, helping to deliver the micro capacity and coverage that will power a wealth of next-generation applications that will require constant, low latency connectivity. But small cells have a role to play in existing 4G deployments, particularly in urban areas, and if operators deploy them now then they are futureproofing themselves for 5G. Recent studies have suggested that although 4G speeds aren’t rising as rapidly as they once were, the availability of 4G is increasing as operators focus on coverage for the time being, including in busy cities. Small cell shipments rose by 39 per cent year-on-year to 2.3 million in 2017, according to IHS Markit, which predicts that the market will be worth $2.8 billion by 2022. Most deployments are taking place in rural and remote areas, but over the next few years, more outdoor cells will be rolled out as operators look to boost urban coverage. 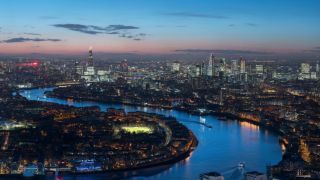 In London, the City of London Corporation is building a small cell network with Cornerstone Telecommunications Infrastructure (CTIL) and O2 with the aim of improving 4G coverage, delivering superfast public Wi-Fi and preparing the capital for 5G in the future. As the finance capital of Europe, it was seen as unacceptable to have poor mobile coverage thanks to the numerous tall buildings blocking signals. Small cells were identified as the ideal solution, with the corporation offering its street furniture as hosts for the micro network infrastructure. At the time of writing, 240 small cells have been installed and the plan is to reach 400 by March 2019. But it’s impossible to ignore 5G whenever a small cell deployment is concerned. With 3G, the focus on small cells has been on coverage and with 4G it has been about urban capacity, enterprise applications and IoT. For 5G, small cells will be absolutely essential. Early 5G networks in the UK will make use of 3.4GHz airwaves recently auction by Ofcom, while mmWave frequencies of 24GHz and higher will be used to deliver fixed wireless access (FWA) broadband services in countries like the US. Most 5G networks will eventually make use of a combination of both, delivering the right balance of range and capacity. However mmWave’s short range makes it challenging to provide a signal in complex indoor environments, which is why small cells will be so important in providing coverage for mission critical applications such as the Industrial Internet of Things (IIoT). Qualcomm has just announced what it claims the industry’s first 5G NR (New Radio) platform for small cells. Central to its appeal is the ability to choose whichever radio access network (RAN) technology is best for their needs and to reuse software and hardware designs across different types of spectrum. This is in part due to the recognition that 5G will have to coexist with 4G. Aside from the headline benefits of 5G it will also deliver lower cost per bit, more usable spectrum and entirely new radio architectures. But if 5G is going to offer significant capacity enhancements straight away, do operators really need to invest in small cells so soon? There are also planning issues to contend with regardless of which generation of technology is used. A lack of consistency with planning regulations means some authorities demand individual planning applications for every small cell – a process that is clearly impractical for deployments that require thousands of cells. The industry has pleaded with councils to adopt a more uniform approach and to recognise that the economic value of mobile infrastructure is greater than the revenue that might be generated from granting planning permission. However landlords are an issue too, with private properties hosting small cells and mobile masts. Other countries such as Australia and Singapore have building regulations that require any new building to have provisions for mobile infrastructure, and it’s something Bage would like to see. “I think that’s the way we have to go, if we want to compete as a country,” he said.